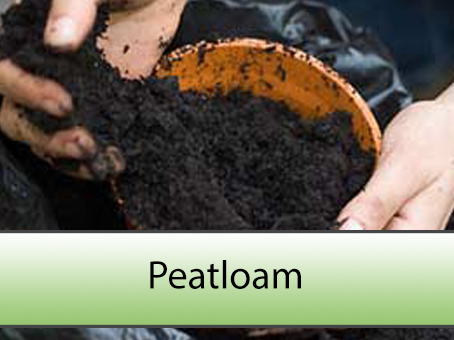 Peatloam is an attractive dark black loam from peat bogs/ponds. It helps retain moisture and is used as an aesthetic topping for garden beds. It has a low pH level but does not add any growing value to existing soil.